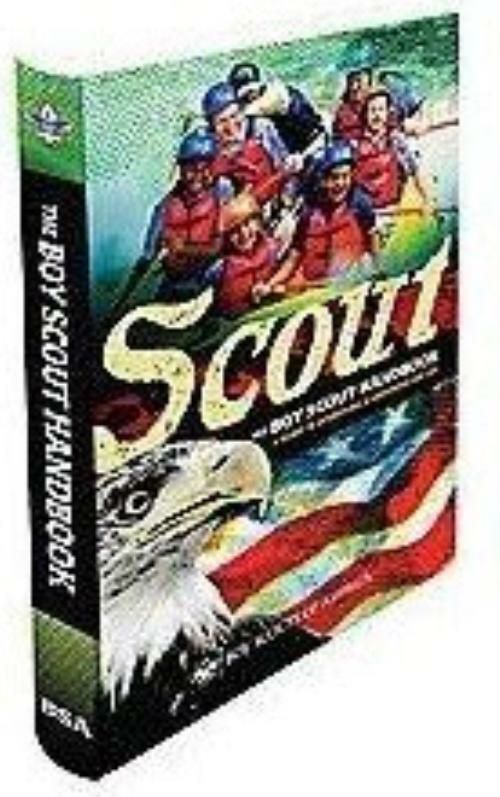 Use this section to find out (quite a bit) about the BSA Program, and the degree to which Troop 51 embraces the way it "aught to be". Unlike school, organized sports, or perhaps even in the home setting, in a Boy Scout Troop the youth are the ones who are in charge. THEIR desires become our agenda. THEIR ideas for adventure, fun, and excitement are what the adults guide them to bring into reality. In Scouting, THEY speak and the adults listen. All with adult supervision and oversight. 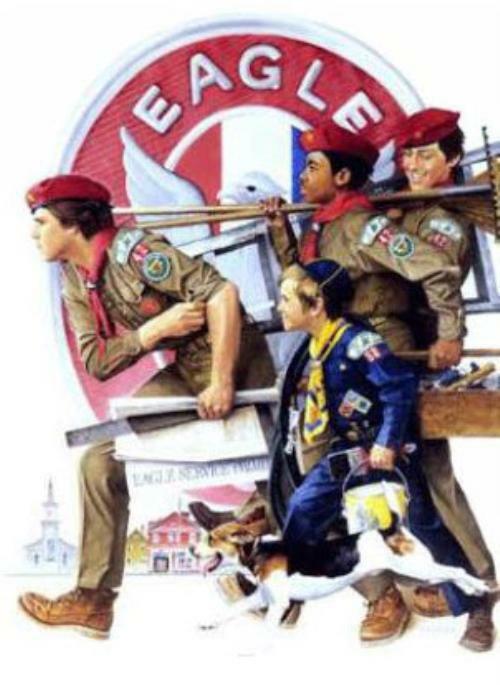 The Boy Scout Of America Program is a 101 year old, professionally crafted, program of education and character development. By using the "Outdoor Method" (camping, fishing, rock climbing, etc) boys work together to do "the things boys like to do". In the process, they learn the value of teamwork, honesty, communication, mutual respect, and more as they work towards their goal and overcome any obstacles they encounter. Ever climb a 40' Rock Wall? Ever do a 100 yard Zip Line? Ever play epic human foosball games? Ever spend the night in a tent? Ever see the stars from parts of Illinois where there's no "light pollution"?... a sky so clear you can see the Milky Way? Spend time with your son (especially if he is new to Scouting). Read the book with him. Quiz him on a skill, or "challenge" him to a knot tying contest. Ask him how he sees himself living up to the Scout Law. Don't let Scouting be "1 hour a week" each Thursday night, but a regular and routine part of every day. A Boy Scout Troop leads itself. Adults are present to guide and ensure safety & compliance exist, but it is the YOUTH who make key decisions. 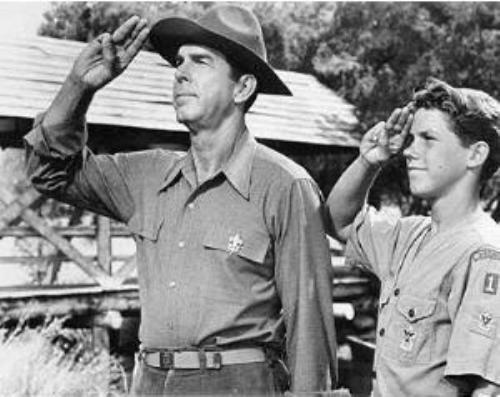 The primary role of the Scoutmaster is to teach the Senior Patrol Leader how to run/lead his troop. The Scouting program using The Patrol Method means the Troop members ELECT their own leaders; individual Patrol Leaders and a Senior Patrol Leader (SPL) who takes on "ownership" and hold the actual leadership position within the Troop. The SPL appoints an assistant scout (Assistant Senior Patrol Leader - ASPL) and various other leadership positions, all of whom serve with the Scoutmaster's aproval. While serving as Senior Leaders, the SPL and ASPL cease to be members of their respective patrols and function as peers with the adult leadership. The SPL and ASP execute Program decisions, lead the meetings, plan agendas, and LEAD BY EXAMPLE when executing the agenda that the boys themselves created and agreed to follow. The Scoutmaster's main job is to teach the boys how to lead their own unit. That seems to be more of a "journey" than a "destination" because in 6 months, a new election is held. The next Scout to be elected as the SPL may have strong leadership skills, or may be be starting to develop them for the first time so getting to a "100% boy run" status is difficult. Sometimes we're able to be more "out of the way" than others, but our goal is to let the youth leaders "lead" and only step in when necessary, even if that means letting them make and learn from a few mistakes along the way. As a Committee Member, you should be willing to attend the monthly Committee Meeting (4th tuesday of each month at 7PM) and get involved in as much/little upcoming activities as you wish. As a Merit Badge Councilor, you choose to provide counseling from 1 to many of the available 130+ Merit Badges. 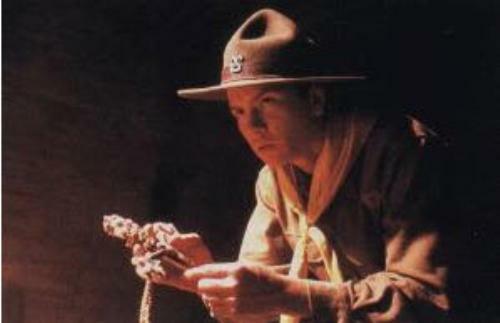 As a Merit Badge Councilor, your time is ONLY used "upon request" when a Scout decides he would like to work on a particular badge for which you've agreed to be a councilor. Merit Badges are usually earned OUTSIDE of the weekly meeting, so Scouts meet with you ON YOUR SCHEDULE of availability. 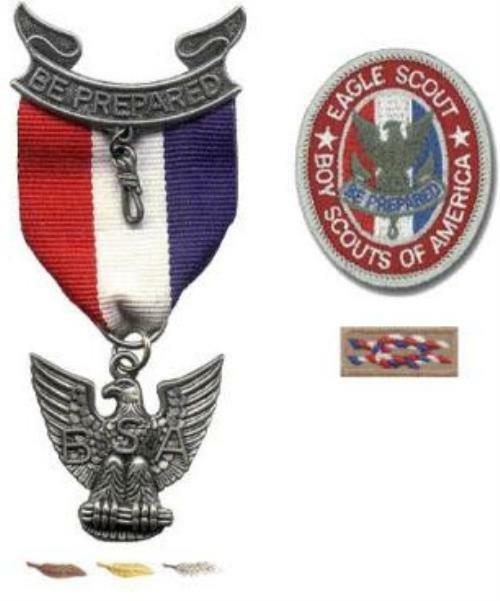 Sometimes a merit badge may be worked on in a meeting as part of the program theme. NOTE.. all leaders MUST complete a BSA Adult Application, which requires you to provide your Social Security Number. A background check will be done by the WD Boyce Area Council. WE (the Troop) will NOT know of the particular details of anyone's record, but will simply be told "yes/no" regarding your eligibility. If you do not provide your SSN, you will not be accepted as a leader. This is National BSA policy, not an ad hoc policy of Troop 51. Merit Badge Counselor (MBC) - a MBC works with Scouts on an individual basis to work on the specific badges that the MBC is registered to teach. A MBC works with the Scouts "on demand" when he is contacted by the Scouts requesting time to complete badge work. 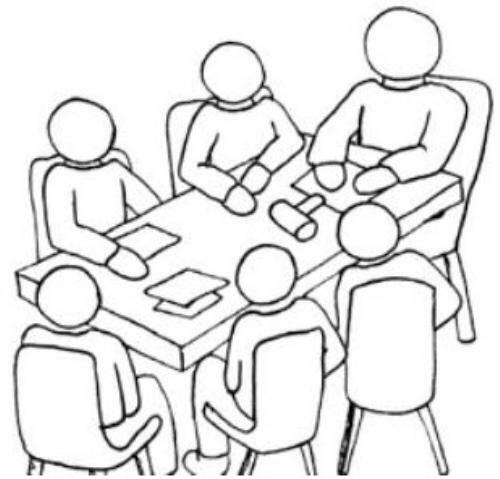 Committee Member - the role of the committee is to provide the Scoutmaster with the support needed to deliver the program that the Patrol Leader Council chooses as the "Program". The Committee provides the logistical support (funds/fund raisers, camping equipment, Treasury, camp site reservations, recording advancement, Boards of Review, registration/recharter, etc) needed to support the Troop. The Committee also has the responsibility to ensure that the Scoutmaster and the PLC are delivering a program that is aligned with the BSA Charter. If not, the Committee can recommend replacements. The Committee Chair would report to the Chartering Organization Representative who has the ultimate authority in all aspects of the Troop. The Committee is headed by a Committee Chairman who functions as the "great organizer" to make sure that sub-committees are on-task in their roles within the troop, such as ensuring a Treasurer delivers a Treasurer's report... Outdoor Chair is making campsite reservations.... Quartermaster is maintaining the camping equipment.... webmaster(s) are updating the website... etc. No. There is no set minimum for a project, although most average more than 100 hours of combined service. However, the length of work must be long enough that there is AMPLE OPPORTUNITY for a scout to show/demonstrate actual "leadership"? Yes & No. An Eagle Project does NOT need to be "unique", but it should be unique FOR HIM. A scout who simply repeats a project he worked on with another scout is NOT "leading".... he's "repeating" some one else. Remember, PLANNING is a big part of the project/process. No. An Eagle Project can be a SERVICE, but it cannot be "routine service"... such as raking leaves at his church, spreading mulch, or cutting the lawn. An example of a non-routine service may be the planning/organizing/executing of a clothing drive, blood drive, or canned food drive. By PERSONAL PREFERENCE, many scouts like "building" something that they can come back to years later and say "That was my project!". Does an Eagle Project require all the Scouts to work on it? No. There must be some involvement of the Troop (leaders) so that those who will be sitting on a candidate's Board of Review can say they saw leadership qualities, but that does not mean all the labor has to come from Scouts. If the Candidate wants to call upon friends, family, or contract labor, that's up to him as the "foreman" to hire the right people to get the job done. However, it is "healthy" when workers include the troop members as it gives all the Scouts a feeling of participation and the motivation for their own Eagle endeavors. No. If money is needed, it is up to the Candidate to raise it through donations, fund raiser, or it can be self-funded. The stipulation is that there can be NO money left over. Any leftover money must be returned to those who donated it. Yes. Please note that the nature of "government" is slow and full of "approval processes". Doing any work on government land or for government agencies will require permits, approvals, etc....that can take quite some time. Scouts should ask these questions in the early stages of his project. Government land projects are NOT a good idea for a boy who is facing the "timeout" of his 18th birthday as government delays may cause him to MISS his Eagle opportunity. He's a really good kid, A student, involved in sports, etc... Is there ANY way to get an extension on time? No. All work for the Eagle Rank must be completed before a boy's 18th birthday. No exceptions. Absolutely! Just because it's "his" project doesn't mean he's expected to be a structural engineer, electrician, or master carpenter. An Eagle Candidate may reach out and solicit assistance from the RIGHT RESOURCES in order to plan/execute his Project. Remember, his job is not to be the guy swinging the hammer or drawing the plans... but HIRING the right people.